The state-owned supplier Agriculture Inputs Company (AIC) has started importing chemical fertilizer meant to distribute for the upcoming summer paddy plantation that normally begins from mid-June. The early imports raises hope that the farmers would not suffer from shortage that has been recurring each year. According to Ajay Kumar Srivastava, chief of AIC Birgunj regional office, a railway wagon carrying the first lot of fertilizer consignment arrived at Raxaul, India on Sunday. A railway wagon can carry around 2,500 tonnes of fertilizer. The AIC will be importing 30,000 tonnes of urea in first consignment. “This is the first lot of fertilizer imported from China,” he said. Srivastava said that a Singapore-based company has been awarded the contract to supply the farm vital input. Almost all fertilizer is imported from Kolkata to Birgunj. Another railway wagon is on the way at Asansol in West Bengal of India. Of the total consignment, 12,500 tonnes will be distributed from Birgunj. Likewise, 10,000 tonnes and 7,700 tonnes will be sent to AIC’s regional office in Bhairahawa and Biratnagar, respectively, said Srivastava. “The next consignment of 30,000 tonnes of urea supplied by a Dubai-based company has also arrived at Kolkata Port.” He said that both the consignment has been targeted for paddy plantation season. The country will not face shortage of urea if the imports are made by mid-June, he said. According to Srivastava, currently Birgunj has stock of 50 tonnes urea, 4,293 tonnes of DAP and 1,089 tonnes of potash. Annual demand currently stands at 700,000 tonnes. Urea and DAP accounts for 65 percent and 25 percent, respectively, of Nepal’s fertilizer demand. Fertilizer imports amount to Rs16 billion. The government has been providing Rs5.5 billion for fertilizer subsidy annually. Fertilizers imported by the government cover only one-fourth of the country’s total requirement and the rest is met by informal imports, or smuggling through porous border with India. A study conducted by the Finance Ministry in 2006 has put the share of informal fertilizer imports at 71.6 percent. 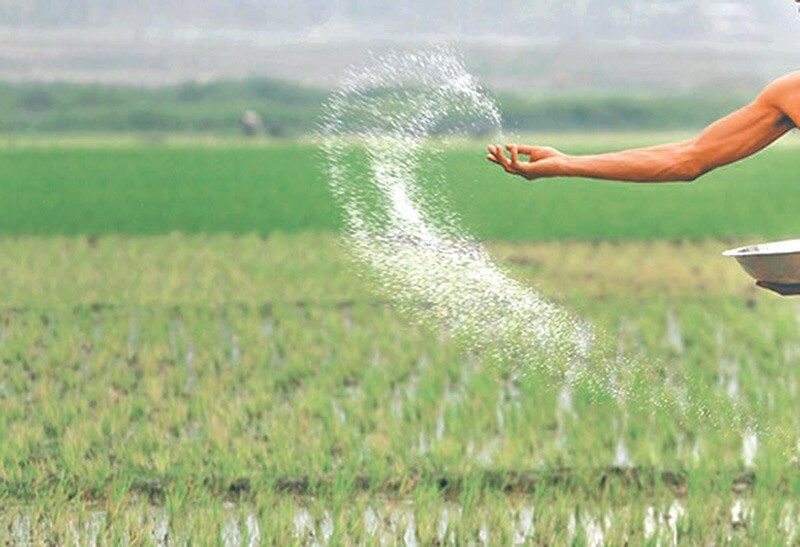 Recently, lawmakers had urged the government to boost the supply of subsidized chemical fertilizer so that more farmers can benefit and bring private firms into the fertilizer trade in order to prevent recurring shortages of the vital farm input. A sub-committee of the parliamentary Water and Agricultural Resources Committee, formed last June to study problems in chemical fertilizer imports, distribution, quality, farmers’ access to fertilizers and the government’s current policy, said in its report that the distribution of subsidized fertilizers was “very low”, holding down farm productivity. As shortages of chemical fertilizer occur every year, the report has asked the government to shorten the lengthy consignment process. In case of a crisis, the government can fast-track shipments by making a government-to-government deal with India, but the process needs to be fair and transparent, the report said. Currently, chemical fertilizers are imported through Birgunj Customs only. The lawmakers have suggested reviewing the existing Nepal-India transit agreement so that they can be shipped through other border points by signing a letter of exchange. The report said that Nepal had an option to import fertilizers through Visakhapatnam port, apart from Kolkata and Haldia ports as is being done currently.